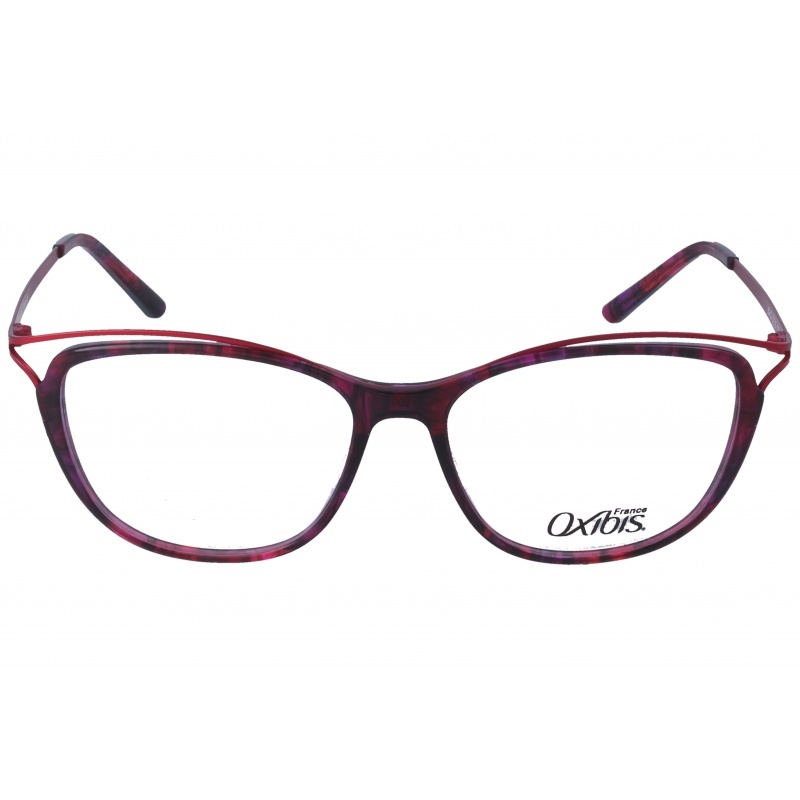 Eyewear by the brand OXIBIS, for Prescription glasses for Women, with reference M0010760, with a(n) Formal, Modern, Elegant and Female style.These Oxibis Wavy 3 Wv21 53 17 have a(n) Full Rim frame made of Metal with a(n) Cat Eye shape in Purple colour. Their size is 53mm and their bridge width is 17mm, with a total frame width of 70mm. These glasses are suitable for prescription lenses. These are top of the range glasses from the brand OXIBIS, made of high-quality materials, modern eyewear that will give you a look that matches your image. Buy Oxibis Wavy 3 Wv21 53 17 eyewear in an easy and safe way at the best price in our online store. 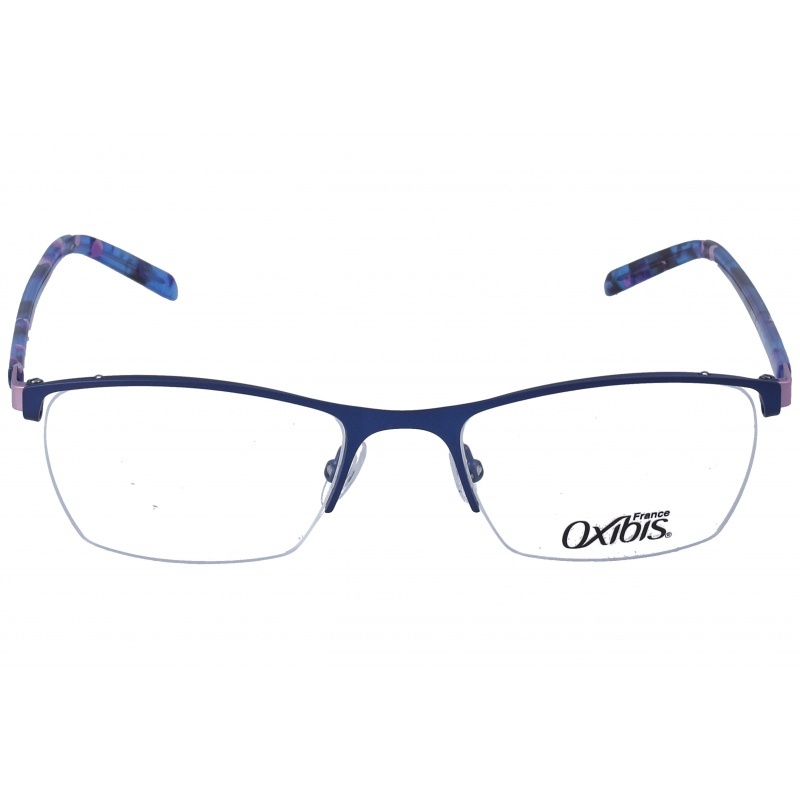 Eyewear by the brand OXIBIS, for Prescription glasses for Women, with reference M0010981, with a(n) Formal, Modern, Elegant and Female style.These Oxibis Wavy 2 Wv14 53 19 have a(n) Semi Rimless frame made of Metal with a(n) Cat Eye shape in Green and Blue colours. Their size is 53mm and their bridge width is 19mm, with a total frame width of 72mm. These glasses are suitable for prescription lenses. These are top of the range glasses from the brand OXIBIS, made of high-quality materials, modern eyewear that will give you a look that matches your image. Buy Oxibis Wavy 2 Wv14 53 19 eyewear in an easy and safe way at the best price in our online store. string(133) "Buy Oxibis Wavy 2 Wv14 53 19 eyeglasses. Modern and elegant model. Original product with fast shipping, quality guarantee and refund." string(24) "OXIBIS WAVY 2 WV14 53 19"
string(123) "Oxibis Group designs and manufactures creative eyewear, while further refining its French Jura-inspired eyewear know-how. 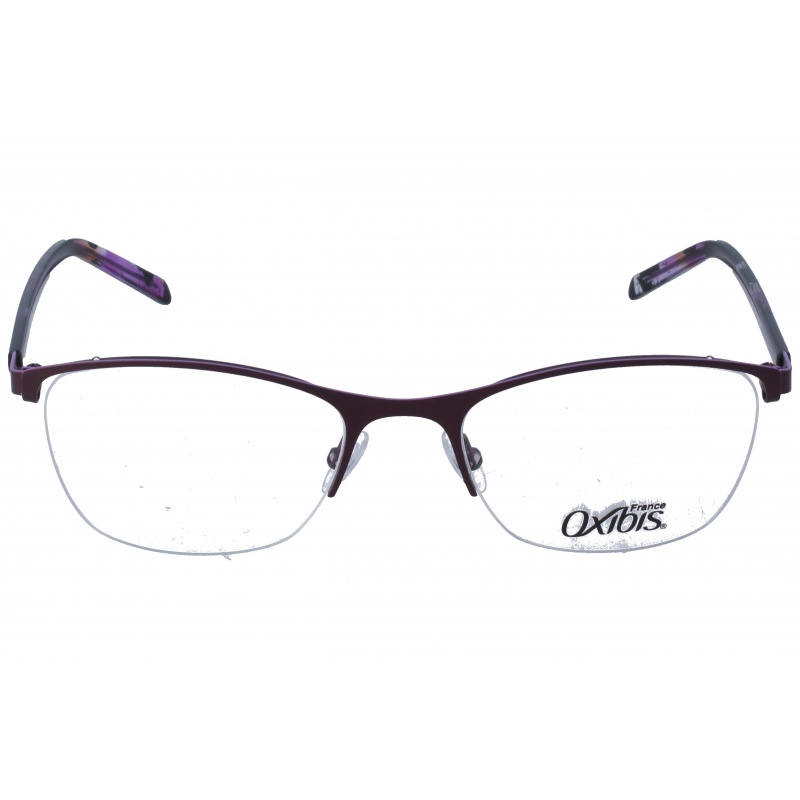 Eyewear by the brand OXIBIS, for Prescription glasses for Women, with reference M0010759, with a(n) Formal, Modern, Elegant and Female style.These Oxibis Wavy 2 Wv12 53 19 have a(n) Semi Rimless frame made of Metal with a(n) Cat Eye shape in Purple colour. Their size is 53mm and their bridge width is 19mm, with a total frame width of 72mm. These glasses are suitable for prescription lenses. These are top of the range glasses from the brand OXIBIS, made of high-quality materials, modern eyewear that will give you a look that matches your image. Buy Oxibis Wavy 2 Wv12 53 19 eyewear in an easy and safe way at the best price in our online store. string(133) "Buy Oxibis Wavy 2 Wv12 53 19 eyeglasses. Modern and elegant model. Original product with fast shipping, quality guarantee and refund." string(24) "OXIBIS WAVY 2 WV12 53 19"
Eyewear by the brand OXIBIS, for Eyeglasses for women, with reference M0014217, with a(n) Formal, Modern and Female style.These Oxibis Boogy 4 BG4C2 53 15 have a(n) Full Rim frame made of Acetate / plastic with a(n) Cat Eye shape in Red and Purple colours. Their size is 53mm and their bridge width is 15mm, with a total frame width of 68mm. These glasses are suitable for prescription lenses. These are top of the range glasses from the brand OXIBIS, made of high-quality materials, modern eyewear that will give you a look that matches your image. 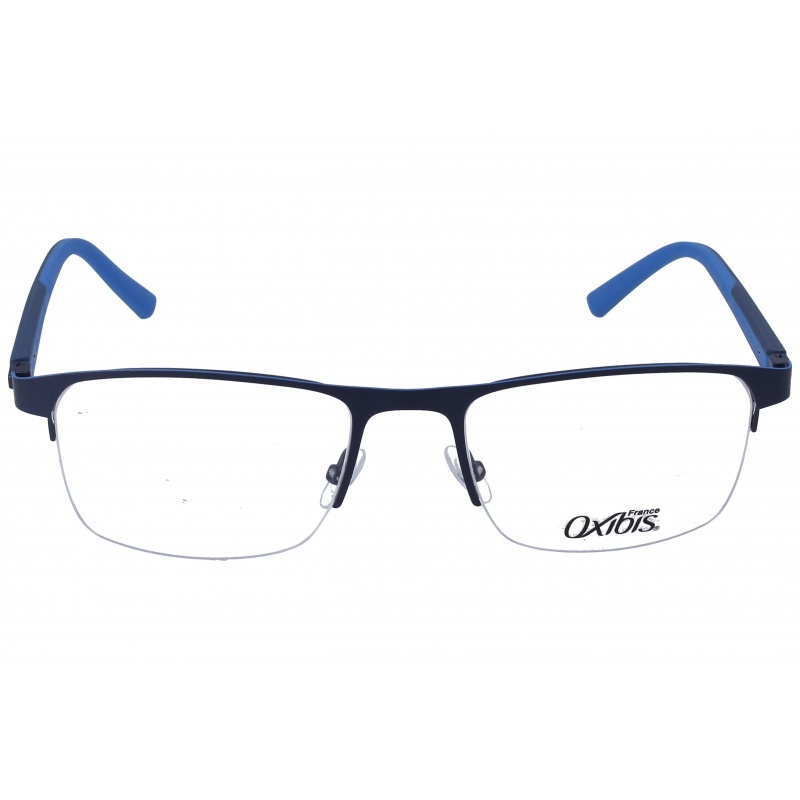 Buy Oxibis Boogy 4 BG4C2 53 15 eyewear in an easy and safe way at the best price in our online store. string(135) "Buy Oxibis Boogy 4 BG4C2 53 15 eyeglasses. Modern and elegant model. Original product with fast shipping, quality guarantee and refund." string(26) "Oxibis Boogy 4 BG4C2 53 15"
Eyewear by the brand OXIBIS, for Eyeglasses for women, with reference M0014216, with a(n) Female style.These Oxibis Yu 2 YU2C1 51 19 have a(n) Semi Rimless frame made of Titanium with a(n) Cat Eye shape in Purple colour. Their size is 51mm and their bridge width is 19mm, with a total frame width of 70mm. These glasses are suitable for prescription lenses. These are top of the range glasses from the brand OXIBIS, made of high-quality materials, modern eyewear that will give you a look that matches your image. Buy Oxibis Yu 2 YU2C1 51 19 eyewear in an easy and safe way at the best price in our online store. string(132) "Buy Oxibis Yu 2 YU2C1 51 19 eyeglasses. Modern and elegant model. Original product with fast shipping, quality guarantee and refund." string(23) "Oxibis Yu 2 YU2C1 51 19"
Eyewear by the brand OXIBIS, for Eyeglasses for women, with reference M0014215, with a(n) Female style.These Oxibis Stick 6 TK6C1 48 19 have a(n) Semi Rimless frame made of Titanium with a(n) Cat Eye shape in Red colour. Their size is 48mm and their bridge width is 19mm, with a total frame width of 67mm. These glasses are suitable for prescription lenses. These are top of the range glasses from the brand OXIBIS, made of high-quality materials, modern eyewear that will give you a look that matches your image. Buy Oxibis Stick 6 TK6C1 48 19 eyewear in an easy and safe way at the best price in our online store. string(135) "Buy Oxibis Stick 6 TK6C1 48 19 eyeglasses. Modern and elegant model. Original product with fast shipping, quality guarantee and refund." string(26) "Oxibis Stick 6 TK6C1 48 19"
Eyewear by the brand OXIBIS, for Eyeglasses for women, with reference M0014214, with a(n) Female style.These Oxibis Yu 1 YU1C5 49 18 have a(n) Semi Rimless frame made of Titanium with a(n) Cat Eye shape in Blue colour. Their size is 49mm and their bridge width is 18mm, with a total frame width of 67mm. These glasses are suitable for prescription lenses. These are top of the range glasses from the brand OXIBIS, made of high-quality materials, modern eyewear that will give you a look that matches your image. Buy Oxibis Yu 1 YU1C5 49 18 eyewear in an easy and safe way at the best price in our online store. string(132) "Buy Oxibis Yu 1 YU1C5 49 18 eyeglasses. Modern and elegant model. Original product with fast shipping, quality guarantee and refund." string(23) "Oxibis Yu 1 YU1C5 49 18"
Eyewear by the brand OXIBIS, for Eyeglasses for men, with reference M0014213, with a(n) Formal, Modern and Retro/Vintage style.These Oxibis Krono 2 KN2C3 55 20 have a(n) Semi Rimless frame made of Titanium with a(n) Squared shape in Blue colour. Their size is 55mm and their bridge width is 20mm, with a total frame width of 75mm. These glasses are suitable for prescription lenses. These are top of the range glasses from the brand OXIBIS, made of high-quality materials, modern eyewear that will give you a look that matches your image. Buy Oxibis Krono 2 KN2C3 55 20 eyewear in an easy and safe way at the best price in our online store. string(135) "Buy Oxibis Krono 2 KN2C3 55 20 eyeglasses. Modern and elegant model. Original product with fast shipping, quality guarantee and refund." string(26) "Oxibis Krono 2 KN2C3 55 20"
Eyewear by the brand OXIBIS, for Eyeglasses for men, with reference M0014212, with a(n) Formal, Modern and Retro/Vintage style.These Oxibis Hook 7 HO7C3 59 21 have a(n) Full Rim frame made of Titanium with a(n) Squared shape in Blue colour. Their size is 59mm and their bridge width is 21mm, with a total frame width of 80mm. These glasses are suitable for prescription lenses. These are top of the range glasses from the brand OXIBIS, made of high-quality materials, modern eyewear that will give you a look that matches your image. Buy Oxibis Hook 7 HO7C3 59 21 eyewear in an easy and safe way at the best price in our online store. string(134) "Buy Oxibis Hook 7 HO7C3 59 21 eyeglasses. Modern and elegant model. Original product with fast shipping, quality guarantee and refund." string(25) "Oxibis Hook 7 HO7C3 59 21"